Weekly Roundup: Galaxy Gear hands-on, iPhone 5S and 5C rumors, Microsoft / Nokia acquisition, and more! 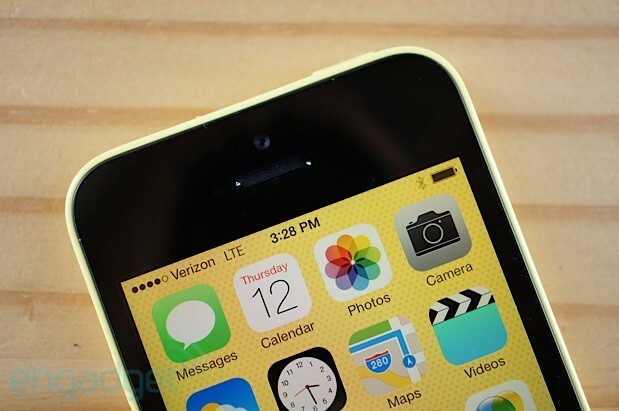 After weeks of leaks and speculation, the iPhone 5c is finally here. Apple's colorful new lower-cost handset slots below the iPhone 5s flagship and ships with iOS 7. This is the first time the company's launched two new iPhones simultaneously. 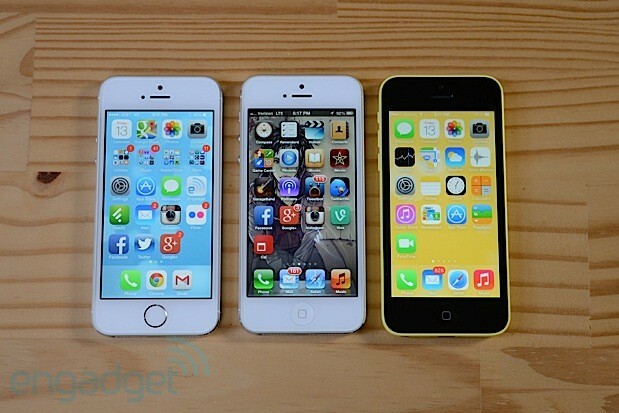 The 5c replaces the iPhone 5 in the middle of the lineup, and the 8GB iPhone 4s is now available free on contract. Unlike years past, the iPhone 5 doesn't carry on as a second-tier device -- it's just gone. The 5c is built from steel-reinforced, colored-through, machined polycarbonate that's coated in a glossy finish. Apple's last plastic handset was the iPhone 3GS in 2009, but it only came in black and white. In contrast, the 5c arrives in a rainbow of pastel hues: white, pink, yellow, blue and green, along with a matching set of cases. Spec-wise, the 5c is basically an iPhone 5 with an improved front-facing camera and global LTE support. The 16GB model costs $99 with a two-year commitment ($549 unlocked) and the 32GB version is $199 on contract ($649 unsubsidized) -- as such it's more affordable than the departed iPhone 5. While Apple's clearly positioning the 5c as an aspirational product, we suspect it's also less expensive to manufacture than the iPhone 5, which means the company gets to enjoy some higher profit margins. It's obviously not the cheap iPhone some folks were expecting, and frankly, we're not surprised -- it's an Apple device, after all. So does the 5c live up to the hype? Is it an improvement over the iPhone 5? Should you pony up for the iPhone 5s instead? Let's find out. The iPhone 5c might not be cheap, but it's a gorgeous handset that brings a breath of fresh air to the iPhone lineup. For many people, it might even be a better choice than the iPhone 5s. How would you rate the iPhone 5c? We're not going to lie. The iPhone 5c is gorgeous -- we'd even argue that it's the most beautiful iPhone since the 4 and 4s. It instantly makes the iPhone 5 and 5s look staid in comparison. Sure, we prefer materials like aluminum and glass over plastic, and we appreciate the intricate craftsmanship that goes into building the iPhone 5 and 5s, but still, we can't help it -- the 5c just triggers some reptilian part of our brains that screams, "OMG, color!" It brings a breath of fresh air to the iPhone lineup and will appeal to consumers at an emotional level. As such, we predict the 5c is going to be wildly popular this holiday season. Apple's not the first company to design a handset using colored-through, machined polycarbonate. Nokia did it with the N9 and several Lumias -- most recently the 1020 -- and HTC did it with the One X. Indeed, with those devices, both manufacturers showed that plastic could be used to craft highly refined products with superior build quality. Now, the iPhone 5c takes that concept one step further with a steel-reinforced shell covered in an ultra-shiny finish. While some of Nokia's aforementioned models also feature a glossy coating, the surface of the 5c is even smoother -- like enamel. This, combined with an extremely rigid structure, makes the 5c feel like a solid block of ceramic. The iPhone 5c is slightly thicker, taller and wider than the iPhone 5 and 5s, measuring in at 124.4 x 59.2 x 8.97mm (4.9 x 2.33 x 0.35 inches). And at 132g (4.65 ounces), it weighs a little more as well (the 5 weighed 112g, or 3.95 ounces). As you'll see, the general shape and layout of the ports, controls and sensors are all identical too, but the chamfered edges have been rounded off, making the 5c especially comfortable to hold. While it's heavier, it also feels more substantial. All told, between the design and the pastel colors, we can't help but be reminded of the Lumia 620 and the HTC First. In front, the iPhone 5c is all glass with an improved 1.2MP front-facing camera, earpiece and sensors above the screen and the home button below. The Retina display is the same excellent 4-inch, 1,136 x 640-pixel (326-ppi) IPS panel that's used on the iPhone 5 and 5s. As ever, it's bright with accurate colors and wide viewing angles. Flip the handset over and you'll see the familiar iPhone layout, with the rear shooter, secondary mic and single LED flash clustered in the top-left corner. It's the same 8-megapixel camera (BSI sensor, f/2.4 AF lens) under sapphire glass that debuted with the iPhone 5 last year. Apple's logo adorns the top tier of the back and the word "iPhone" and regulatory info occupy the bottom tier. Taking a look at the sides, there's a power / lock key on top, a nano-SIM tray on the right plus the silence switch and rectangular volume buttons on the left. The bottom is home to a standard 3.5mm headphone jack, primary mic, Lightning connector, speaker and two screws. 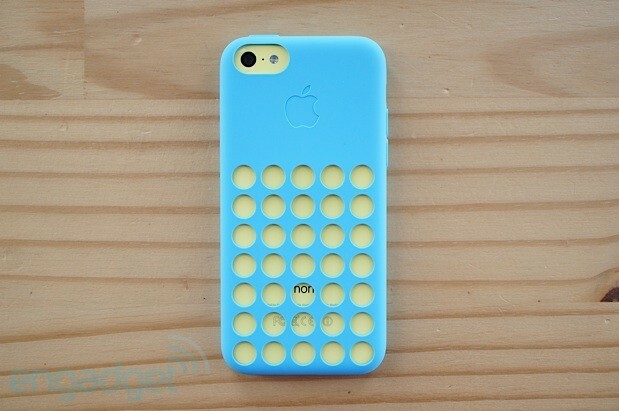 Unlike the iPhone 5 and 5s, which hide the speaker and mic behind two rows of small holes, the iPhone 5c features four larger holes over the speaker, and just a single one covering the mic. Under the hood is the same Apple A6 processor (1.3GHz dual-core CPU and PowerVR SGX 543MP3 GPU) with 1GB of RAM found inside the iPhone 5. 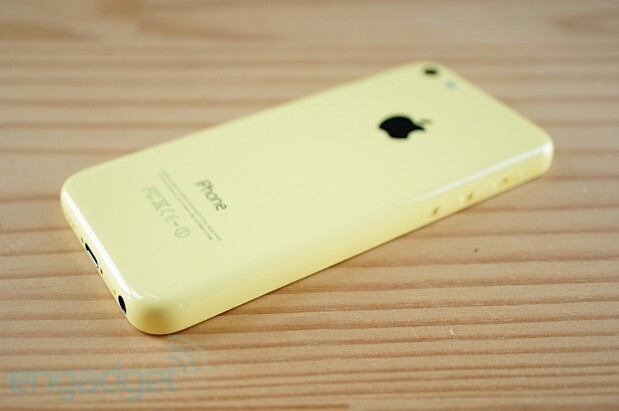 Our review unit was the yellow 32GB model, but the 5c is also available with 16GB of built-in storage. Besides the usual dual-band 802.11a/b/g/n, Bluetooth 4.0 and aGPS / GLONASS radios, the iPhone 5c handles a whopping 13 LTE bands. In fact, the 5c and 5s are the first handsets we've ever used that support all four major US carriers out of the box. In total, there are four SKUs: A1532 for the US (AT&T, T-Mobile and Verizon), A1456 for the US (Sprint) and Japan, A1457 for Europe and A1530 for Asia / Australia. Both US versions support quad-band CDMA / EVDO and penta-band (850 / 900 / 1700 [AWS] / 1900 / 2100) UMTS / HSPA+ / DC-HSPA (42 Mbps). All models also include a quad-band GSM / EDGE radio. Our device (A1456) is unlocked -- it came with a Verizon SIM, but also worked fine on AT&T's network. As you probably guessed (notice a theme here?) 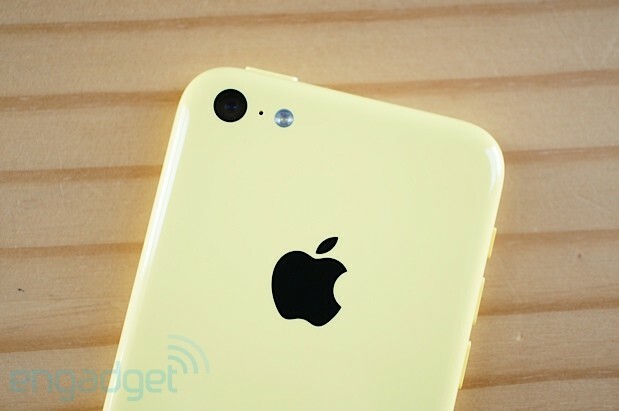 the iPhone 5c inherits the rear camera from the iPhone 5. It's the same 8-megapixel BSI sensor, five-element f/2.4 AF lens (with hybrid IR filter), sapphire glass cover and single LED flash as last year. While that's a solid foundation, iOS 7 brings a bunch of new functionality to the table, including real-time filters, a square format and 3x video zoom -- along with a much welcome UI refresh. The 5c also gains the improved 1.2MP front-facing shooter (BSI sensor with 1.9µm pixels) found on the iPhone 5s. Compared to Apple's flagship, the 5c lacks 120 fps, 720p slow-motion video capture, 10 fps burst mode with real-time analysis, auto-exposure during panoramas, auto image stabilization and the True Tone flash. 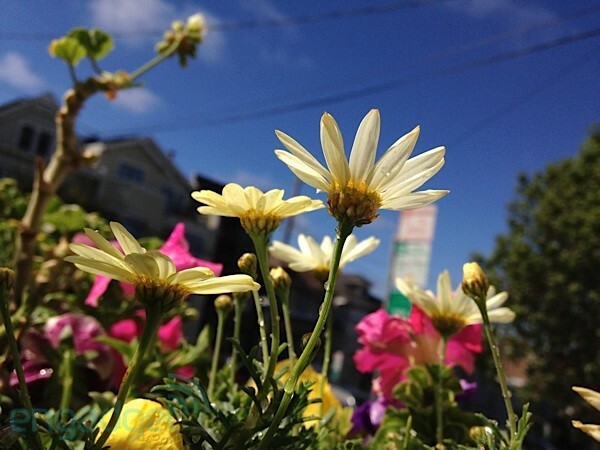 The new iOS 7 camera app features a much cleaner and simpler layout. First, the viewfinder finally shows a preview of the entire area (not just a crop with the wrong aspect ratio), so composing shots is a lot easier. Second, there are no more overlays cluttering the viewfinder. When looking at the screen in landscape, the app groups the controls on either side of the viewfinder, with the front / rear camera switch, HDR toggle and flash menu to the left, and the mode selector (pano, square, photo and video), filter button, shutter key and gallery shortcut to the right. The touch-to-focus, pinch-to-zoom and the AE / AF lock functionality remain unchanged, but holding down the shutter key now shoots multiple photos in a row. It's like a basic version of the burst mode on the iPhone 5s. As we mentioned above, the iPhone 5c shares its internals with the iPhone 5, so it comes as no surprise that Apple's colorful new handset feels just as fast as its predecessor. In short, everything's smooth and responsive. The benchmarks confirm this -- we tested the 5c alongside the iPhone 5s and iPhone 5 all running iOS 7, plus a second iPhone 5 with iOS 6. As you can see in the table below, the results for the 5c and iPhone 5 are nearly identical. There's a slight bump in speed from iOS 7 in some cases and, of course, the iPhone 5s is in a different league, often showing twice the performance of the 5c. Other than playing resource-intensive games like the upcoming Infinity Blade III, we think most people will be completely satisfied with the 5c. It's the same story with battery life. 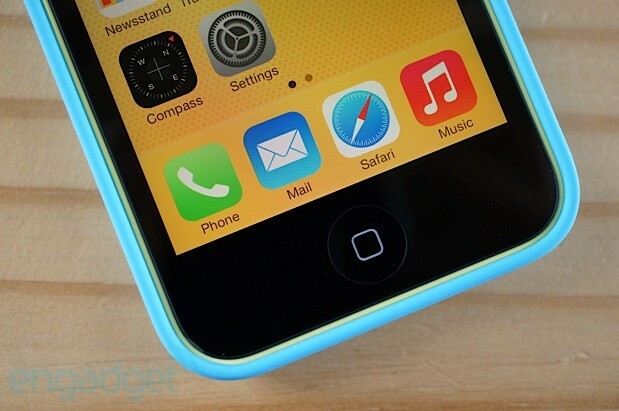 The iPhone 5c lasts about as long on a full charge as the iPhone 5. According to Brian Klug at Anandtech, the 5c incorporates a 1,507mAh battery -- a modest boost over the 1,440mAh cell in the iPhone 5. Getting a full day of heavy use from the 5c is relatively trivial, and we even managed to squeeze two days of light use out of it -- think intense day working on the go versus a quiet day lounging at home. We spent almost four solid hours using the handset (most of it with the screen turned on at maximum brightness) while shooting our video review and the battery still registered 40 percent capacity at the end. In our standard battery rundown test -- looping a video from a full charge with the brightness and volume set to half, WiFi enabled (but not connected) and Bluetooth turned off -- the 5c ran for 10 hours and 39 minutes vs. 10 hours and 50 minutes for the iPhone 5s and nine hours and 17 minutes for the iPhone 5. We didn't experience any issues with reception or call quality -- the iPhone 5c sounds loud and clear even in noisy environments. Compared to the iPhone 5, the 5c features a speaker that's slightly boomier and a bit louder at maximum volume. We listened to a variety of music on the 5c through Beyerdynamic DT 990 Pro headphones and Etymotic Research hf3 earphones. Audio quality is top-notch -- it's something Apple's always done right, and other manufacturers are only now paying attention to (the HTC One and LG G2 come to mind). Data speeds hovered around 10 Mbps down and 6 Mbps up on Verizon's LTE network in and around San Francisco -- 6 Mbps down and 3.5 Mbps on AT&T inside our office with a 75 percent LTE signal. There was a lot of brouhaha in tech circles after Apple previewed iOS 7 at WWDC -- moans and groans about the colors, iconography and typography. While we weren't averse to the new design, per se, we wanted to reserve judgment until launch. Well, after using iOS 7 for a few days, it's hard to imagine going back to iOS 6. In iOS 7, which comes pre-loaded on the 5c and the 5s, skeuomorphism is out (finally!) and flat is in, but unlike Windows Phone and other flat UIs, iOS 7 restores some depth with layers, translucency and even parallax. It looks amazing, especially on the colorful iPhone 5c, and shows what's possible when hardware and software are designed as one. 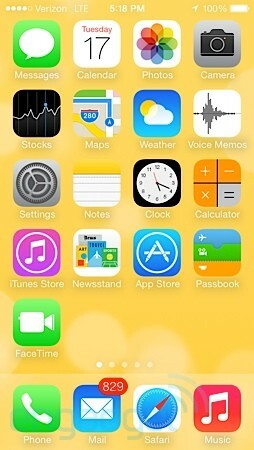 iOS 7 will immediately feel familiar and comfortable to anyone who's used iOS before. That's because the mechanics are by and large identical. Most controls and other UI elements are in the same place and behave just like before. It's the cosmetics that have been reworked, with new fonts (Helvetica Neue, mostly), icons, colors (bright pastels), graphics and even gestures. Apple's core apps also benefit from these changes and are better for it. There's a lot to write about and indeed, we'll have a full iOS 7 review to share with you in the coming days. In the meantime, let's take a look at some of the new features. First, the keyboard's been updated with a new look and Spotlight's easier to access by simply tugging down on any home screen panel. Folders now support multiple panels and hold even more apps. Siri's no longer in beta and includes an additional (male) voice. In case you couldn't tell, we're pretty enchanted with the parallax effect in the new dynamic wallpapers -- it's clever. Still, our favorite addition to iOS 7 is Control Center. Swiping up from the bottom of the screen brings up a panel that contains toggles for WiFi, Bluetooth and other settings; sliders for brightness and volume; media playback controls; buttons for AirDrop / AirPlay; and shortcuts to the camera, timer and more (there's even a flashlight). At last, no more drilling through the settings menu. Seriously, folks, we've been waiting years for this. Moving on, Apple also revamped multitasking in iOS 7 with a card-based UI that manages to recall webOS, Windows Phone and HTC's Sense 4. In a nutshell, recent apps are represented by screenshots on cards. You can scroll through them by swiping left or right; to dismiss an app, just swipe its card up and away. What can we say? It's fast, intuitive and a huge improvement over multitasking in iOS 6. The music app, meanwhile, gains new functionality with iTunes Radio. It's a lot like Pandora, but right within Apple's ecosystem. You create stations for your favorite artists and fine-tune each station for hits, variety or discovery. The app lets you pause playback, rate songs and skip tracks (up to six times per hour). It sounds great and we didn't have any problems streaming iTunes Radio while driving. AirDrop's also worth a mention. Like its counterpart in OS X, it enables easy file sharing over WiFi and Bluetooth. It only works between iOS 7 devices right now and supports URLs, photos, videos and more. AirDrop is available in the Control Center and from the share menu in most apps. Here in the US, the 16GB iPhone 5c is priced at $99 with a two-year contract on AT&T, Verizon and Sprint, and $549 unsubsidized on T-Mobile and SIM-free (unlocked). T-Mobile also offers the 5c for free upfront with 24 installments of $22. The 32GB version costs $199 and $649, respectively. In comparison, the 16G iPhone 5s starts at $199 / $649 and the 8GB iPhone 4s is now free on contract and $450 unsubsidized. As such, the 16GB iPhone 5c competes directly with the HTC One mini, Lumia 925 and LG Optimus G Pro on AT&T, Droid Mini, Galaxy S III and Lumia 928 on Verizon plus the Galaxy S 4, Moto X and HTC One on Sprint. T-Mobile doesn't offer anything nearly as compelling as the 5c for free with installments, but you can purchase an unsubsidized Galaxy S 4, LG G2 or HTC One for just a few more dollars ($604, to be exact). With the iPhone 5c, Apple's crafted something that's more than just the sum of its parts. It's easy to be cynical and dismiss this handset as just an iPhone 5 in a colorful plastic shell, but that's missing the point. There's no doubt that the 5c looks gorgeous and feels wonderful in hand. It inherits tried-and-true features from the iPhone 5 and also gains a few new ones, like that improved 1.2MP front-facing camera. Still, that's only half the story. It's iOS 7 that truly sets the 5c (and the iPhone 5s) apart, thanks to a delightful redesign and a dash of new functionality. With the 5c, Apple achieves an unprecedented level of synergy between hardware and software. Like many of the company's other products, you have to experience the 5c in person to truly appreciate it. Given the choice, there are only a few things we'd tweak. We're happy with the iPhone 5c in terms of performance and battery life, but we're longing for a better camera and a larger screen. The iPhone 5s addresses the former, but typing on any iPhone feels awfully cramped when you're used to displays that measure 4.3 inches (and bigger, even). Maybe next time? If you're using an iPhone 4s or anything older, you can't go wrong upgrading to either the 5c or the iPhone 5s. We think most buyers will pick the iPhone 5c for the price and color choices alone, while the iPhone 5s will appeal to power users and gamers. iPhone 5 owners are probably better off sticking with iOS 7 or picking up an iPhone 5s instead of getting an iPhone 5c. And, if all else fails, there are always next year's iPhones. Brad Molen and Edgar Alvarez contributed to this review.